Restricting Parenting Time; When Can A Child Choose? Posted on Tuesday, March 13th, 2018 by Tim Simonson and is filed under Children, Communication, Minnesota, Parents. Courts have been asked to consider a child’s preference in deciding whether to allow parenting time. Recently, a district court’s decision to restrict parenting time was appealed after a child refused consecutive parenting time sessions with the father. Although there was no evidence was found that the custodial parent had influenced the child’s decision to stop seeing the father, the child submitted a letter to the court, saying that “[he] would absolutely refuse to see [father] again”; that “[he is] old enough to make [his] own decisions and no one can tell [him] what to do”; and that “[he is] in 7th grade and . . . not a little kid [and] no one will force [him] to see [father]. According to the agency responsible for supervising the father’s parenting time with the child, a more ‘therapeutic’ was needed than the agency could provide. In his request to reinstate parenting time, the father offered to pay for reunification therapy with the child. The court denied the father’s request without taking any evidence. According to Minnesota law, any time a court makes a change to a parenting time schedule, there must be evidence that a change is in the child’s best interests. Minn. Stat. §518.175, subd. 5. Substantial changes in parenting time (like a request to restrict parenting time) require that a court find, after a hearing, that the parenting time “is likely to endanger the child’s physical or emotional health or impair the child’s emotional development; or (2) the parent has chronically and unreasonably failed to comply with court-ordered parenting time.” Minn. Stat. § 518.175, subd. 5(c). The Minnesota Court of Appeals clarified its interpretation of this law in Suleski v. Rupe, 855 N.W.2d 330, 334 (Minn. App. 2014) and stated that if a court is going to restrict parenting time, an evidentiary hearing is required. The parent has chronically and unreasonably failed to comply with court-ordered parenting time. 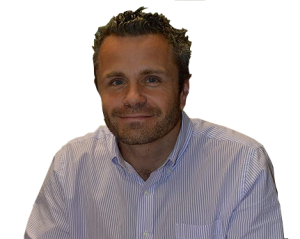 I’ve practiced family law for the past fifteen years, and as a husband and a proud parent of two, I have come to understand and appreciate the tie that binds a family, and have learned how vital it is to approach each of my clients’ matters with integrity, respect, and the personal care and attention that I would want for my own family. Stop messing with my parenting time! what happens when parenting time is lost because a parent isn’t following the schedule? If you are facing divorce and any of the divorce-related issues such as spousal maintenance, child support, child custody, property division, or domestic abuse matters, you need our experienced Minneapolis divorce attorneys to help you. 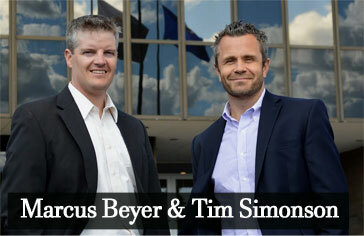 Contact Beyer & Simonson in Edina, Minnesota today at (952) 303-6007.